Your home away from home in the Santa Fe countryside. Join us, and get away from it all. 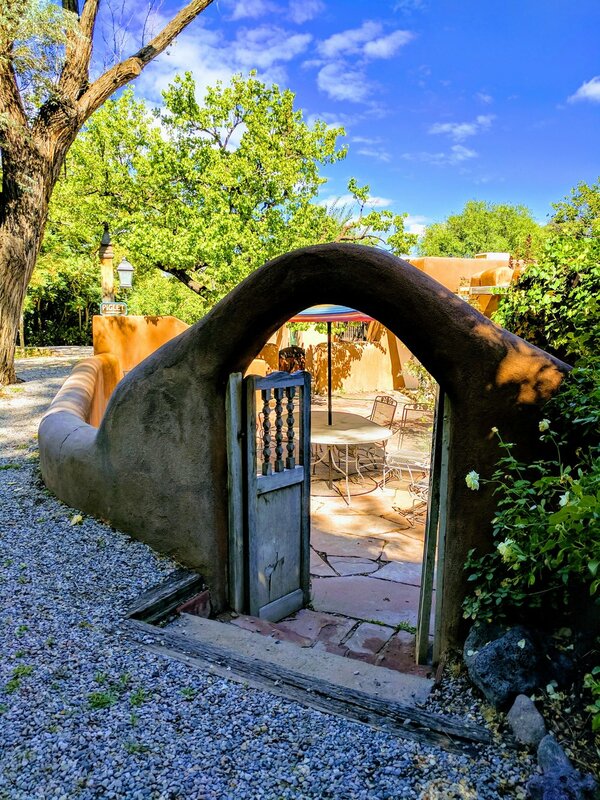 Rancho Jacona, a guest ranch just 15 miles northwest of Santa Fe on the road to Los Alamos, is a collection of 12 vacation rental casitas on a 17th-century estancia, or homestead. 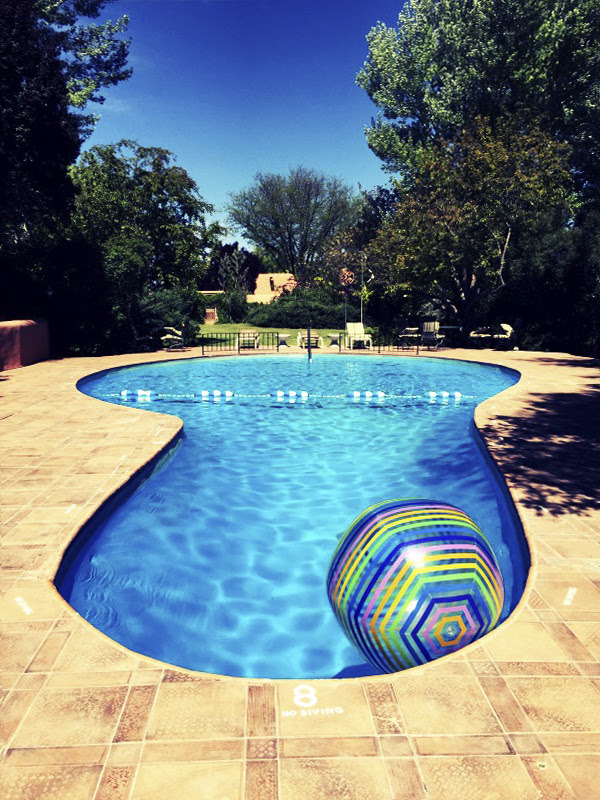 A short 20-minute drive from downtown Santa Fe in the beautiful New Mexican countryside, Rancho Jacona is close to all that The City Different offers, but our farm-like setting is a whole world away. Each casita radiates genuine New Mexico style: rustic wooden viga ceilings, bright colors in the fabrics, paint and tile work, kiva fireplaces, a private outdoor space for each, and well-equipped kitchens mean you can settle in for either a long stay or just a few days and feel at home. The rancho’s oldest houses date from the 1700s, with the new ones just a few years old. Playfully named for birds and animals, they range from the Piglet, Parrot, and Raccoon studios that sleep up to three, through midsize casitas Owl, Lizard, Turtle, Coyote, Vistas, and Rooster that are perfect for small groups or families, to large houses Butterfly, Rabbit and Frog that sleep eight to 10 and seat up to 25 at dining tables. Combine several houses for a perfect family reunion space: a little togetherness but not too much. We provide the ideal place for singles, couples, families and groups of all kinds. We are nestled between the Sangre de Cristo and Jemez mountain ranges and are beautifully set on 35 cottonwood and garden-filled acres. Rancho Jacona provides a peaceful break from the city and hectic pace to which many people have grown accustomed. It tends to be quiet and slow here in all the best ways. Mornings begin with the sound of roosters crowing in the distance as rose and sunflower colored sunshine warms our wide open skies. Evenings are filled with the sound of breezes creating a rustle through the cottonwood leaves, as well as a symphony of crickets in the summer and fall. Our grounds are tended by local gardeners and caretakers who take pride in creating a blend of native and cultivated spaces. Guests come from all over the world to relax, rest, and rejuvenate their minds, bodies and spirits. The Pojoaque River bed is on the northern border of our 35 acres. Easily accessible by a sandy path, the river bed is a wonderful place to get some exercise and explore. The river is often only a trickle, so while you may occasionally return with wet shoes, more than likely you will find miles and miles of dry river bottom and sand to walk through. Massive cottonwood trees, dry canyon-like arroyos, smooth river rocks and the odd flattened beer can are all common sights. Good reminders that the New Mexican countryside is both gorgeous and just a little edgy. Rancho Jacona provides a wonderful alternative to the tourists, traffic and bustle of Santa Fe. We are an easy drive to world-class shopping and dinner, yet far enough away to give you a real sense of the beauty of New Mexican sunsets, mountain ranges and wide open spaces. Wifi and cable are available throughout the property. Our beautiful outdoor pool is open from late spring through early fall. The adjacent lawn is a lovely place to practice yoga, gather with friends for an outdoor party or dinner, or play badminton or volleyball. Rancho Jacona is well-located for visits to the Santa Fe Opera, a driving trip along the high road to Taos, hiking to explore cliff dwellings in Bandelier National Monument, soaking at the Ojo Caliente hot springs or skiing at Ski Santa Fe, Taos Ski Valley, Sipapu or Pajarito. There are breathtaking views in every direction. Spas, wineries and casinos are nearby. Art galleries, world-class restaurants and shopping are a short distance away in Santa Fe. Join us, and get away from it all.